New York City subway music. Musicians could have played The Beatles on repeat while in England, and the ear candy would have given me mountain-sized goosebumps. I could have eternally rested comfortably if I was struck by a car while walking across the Abbey Road to the titular studio, which was and is surrounded by graffiti-covered walls, which are painted over to a blank canvas, and it stays that way for a very short period of time. New York City subway music. Man. Empty spackle buckets to Chinese erhus. 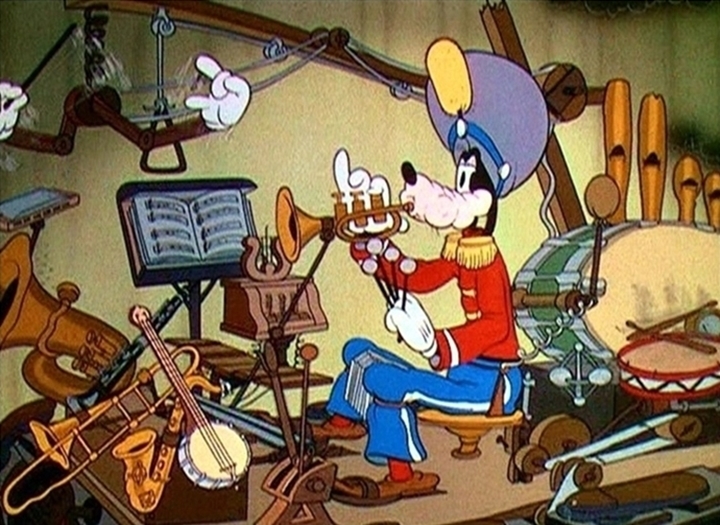 Violinists and accordion players to guitarists and… Goofy. You don’t have to go looking for it, because the music will come to you. It’s similar to a Wikipedia search page: You go searching for a particular topic, and then — an hour later — your six or seven degrees separated from where your intention and answer. A lot of the musicians are pretty darn good, too. It’s best not to doubt, and your wallet may be a couple bucks less after you pass. Music makes you feel good. Even music you normally wouldn’t enjoy: When you hear a rendition of it from an unexpected device, which isn’t a cellphone in passing, it’s still enjoyable. The song is even more enjoyable than hearing it on the radio and from the original artist. The train sped gracefully to Union Square. Aside the music, the look of each of the stops are unique. They have their own personality. Some are cleaner than others, some are more artistic, some are plain and classic, and others (personified) need a good friend to take them out to coffee. Sometimes the look of the stop is better eye candy than the unique individuals. Some try too hard to call attention to their person. Others don’t, and instead read. Sometimes people faint. The gentleman’s poor wife went frantic, and she spoke in a language the majority probably didn’t understand, but it was the exact same verbal response any saddened spouse would have when they didn’t know what was going on. So we understood. Still, no one — minus one two — did a thing. He slid down instead of toppling over. The latter could have came with a different result. One of the train attendants, who looked like John Carroll Lynch, popped his head in; he wore an irritated look. As if to say: What? What’s going on? The gent, who was now sitting in a seat, because (the second person) moved to give the guy breathing room. He was conscious, but he was dazed. I felt bad for not running across the car to see if the guy was OK. I was also glad I did not, because I wasn’t trained in any kind of medical service. I can apply a band-aid like a pro. As quickly as someone faints, three step on with instruments: a guitar, a bass, a drum. They break out into Blackstreet’s “No Diggity” without hesitation, getting the entire car signing and some dancing. The second song was “Billie Jean” by Michael Jackson, which was good, but it came off as a cliche and standard go-to. It’s a tough act to follow that Blackstreet hit. When the song was over, the trio exited the car. Everything went silent again, and I returned to the Hemingway in my hand. Spend the afternoon roaming around Union Square and Madison Square Park, where I stopped to rest, focus and people watch. I wanted to grab a shake, but the line ended in Brooklyn. During my menu gazing — I could have so gone for a cookies and cream shake — I ran into the kid from Tavern on Jane. He clearly didn’t remember me, but aside recognizing him from a day-and-a-half prior, he looked oddly familiar to me. There was no placing him, however. He went on his merry way, talking to himself. My bench was placed just outside of “Fata Morgana” by Teresita Fernandez. The artwork was a reflective canopy. It’s actually beautiful, and pictures don’t do it justice. It was a quiet little bench to enjoy my cafe au lait on, a drink that New Orleans has an advantage in concocting than this current city. People, their stories, were pondered and questioned. Some people walking by were in love, others were frustrated and ready to publicly kill their kids. Others, like me, were clearly tourists. There was no point in reading as the inspiration played out in front of me by the second. However, time was of the essence, and to the Irish Repertory Theatre was a must. Upon arriving, my hands itched with anticipation and my feet kind of felt sweaty from the walking. The windows were covered with paper, and — to reassure my doubt — the door was locked. The other location was showing “The Weir” as this space was being renovated. This was another 20-minute (or so) walk in the other direction. I looked at the clock, which told me there was still time to get there. I double-timed it.